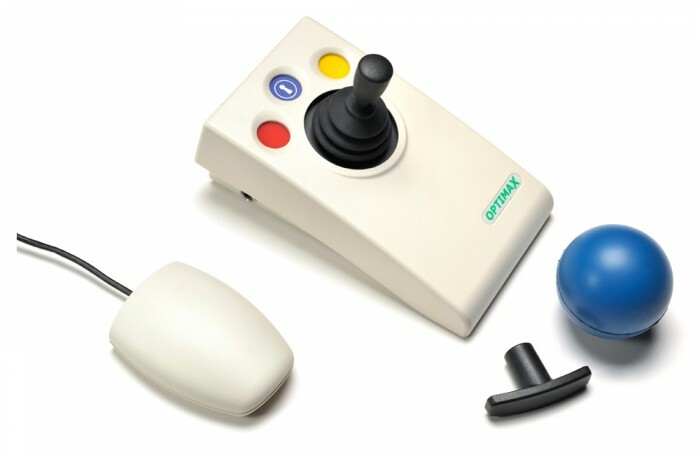 OPTIMAX Wireless Joystick is the first wireless joystick specifically designed for users with motor skill difficulties. With an operating range in excess of 32 feet, it is ideal for use with groups or in the classroom to ensure that everyone can join in! 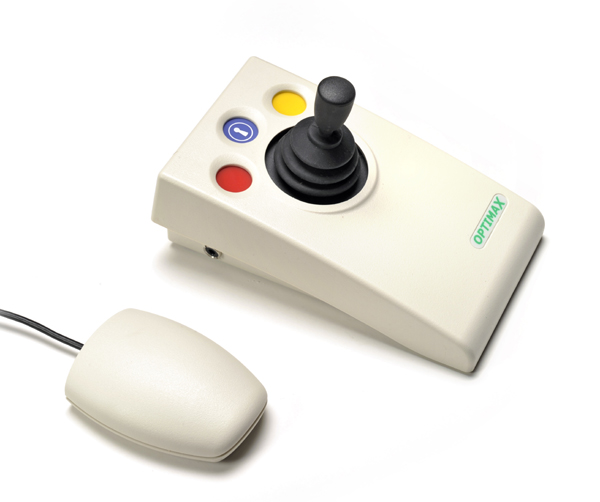 The OPTIMAX Wireless Joystick is specifically designed for cursor movement to respond to the lightest touch (0.5 Newtons) for accurate, cursor navigation and precise targeting of objects on the computer screen. Interference free operating range exceeding 32 feet. Ideal for use in group sessions or classroom settings. Receiver unit with two additional sockets. Low profile provides a natural hand rest for comfortable operation. Color coded buttons mounted sub-flush to prevent accidental activation.